Finally, Switzerland! I spent a weekend in Zurich on the cusp of winter, where the days were crisp and cool, but the skies were blue and the sun was shining. Are you planning on spending a few days? 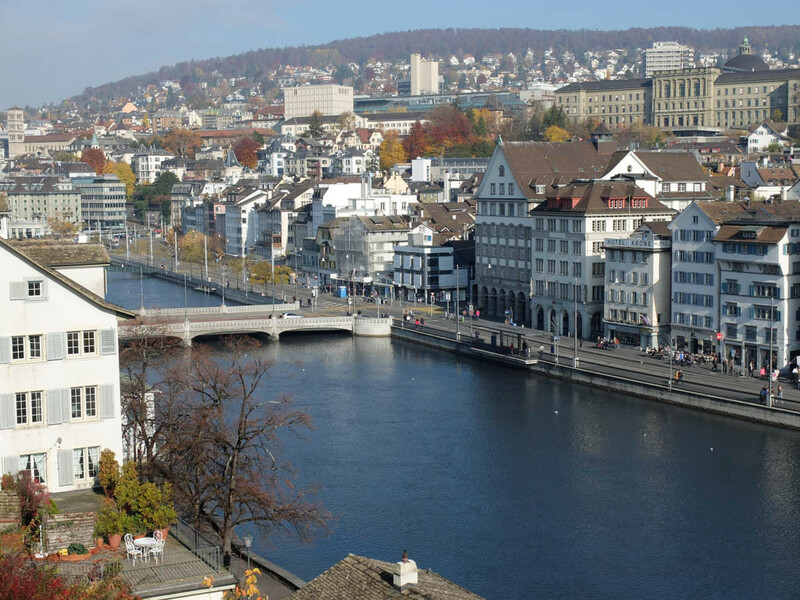 Here are 11 things to do in Zurich, Switzerland. Okay, maybe not every day. 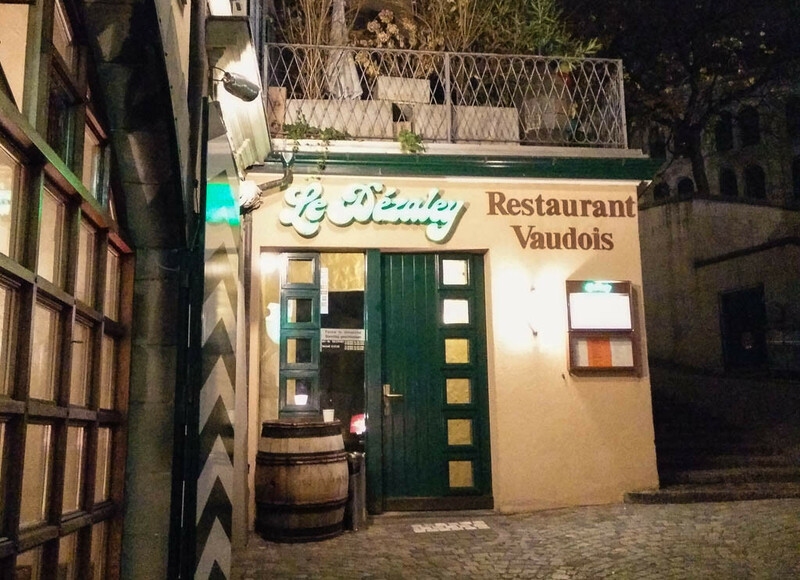 At the suggestion of a former expat in Zurich, I had my first Swiss fondue at Le Dezaley. I turned a corner and happened upon it at 10pm on my first evening in town. What luck! It was around 28 CHF per person for the cheese fondue.. worth it if you like cheese! The staff were lovely and the atmosphere was, well, Swiss. 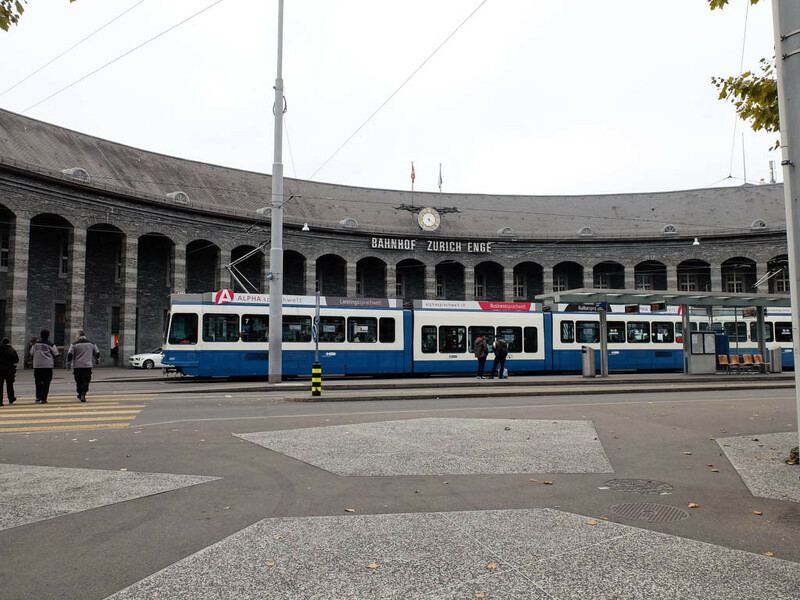 I would generally suggest this no matter where you’ve travelled, but Zurich is so quintessentially European, and so a great stop for any lover of architecture. Wander the shop lined streets, marvel at the well-dressed locals, and look at all those trams! 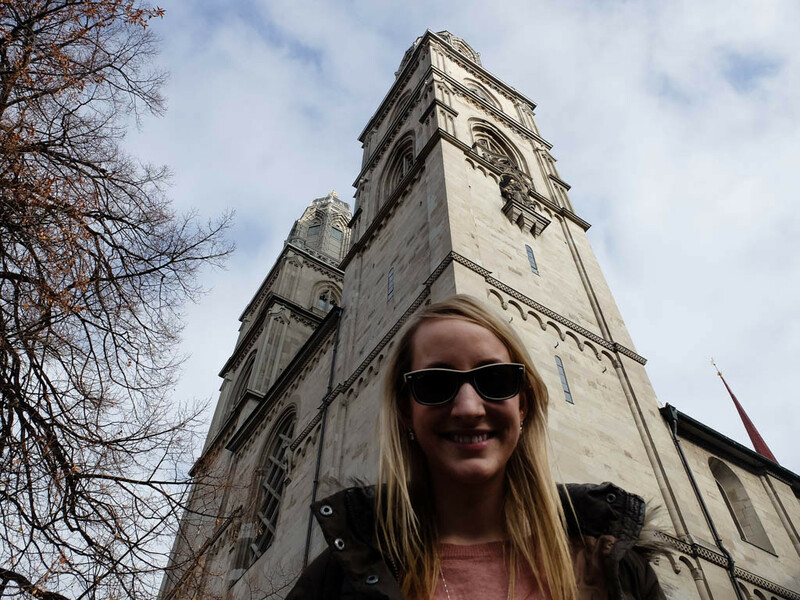 It felt a lot like Paris, with a dash of Prague for good measure. 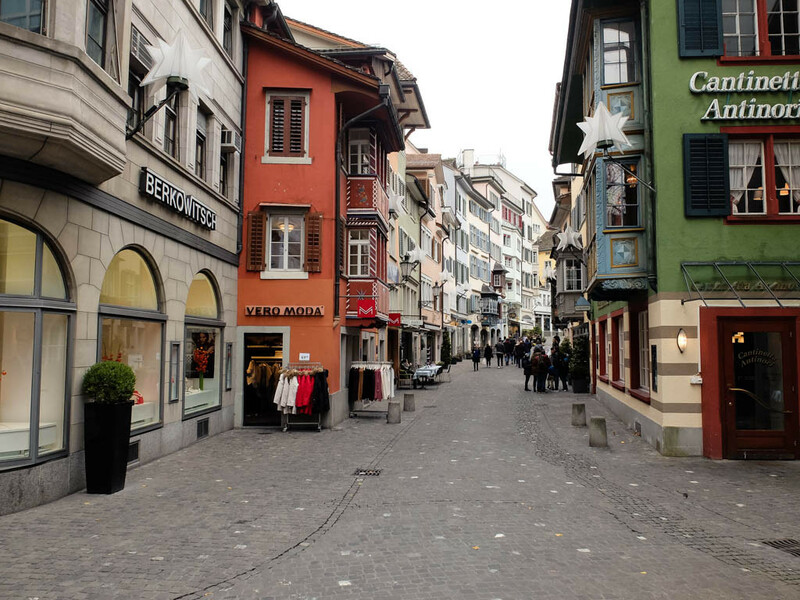 The city centre sits along the blue waters of Lake Zurich. There are paths set out for a nice afternoon stroll, and longer trails if you’re interested in taking in the view from all sides. 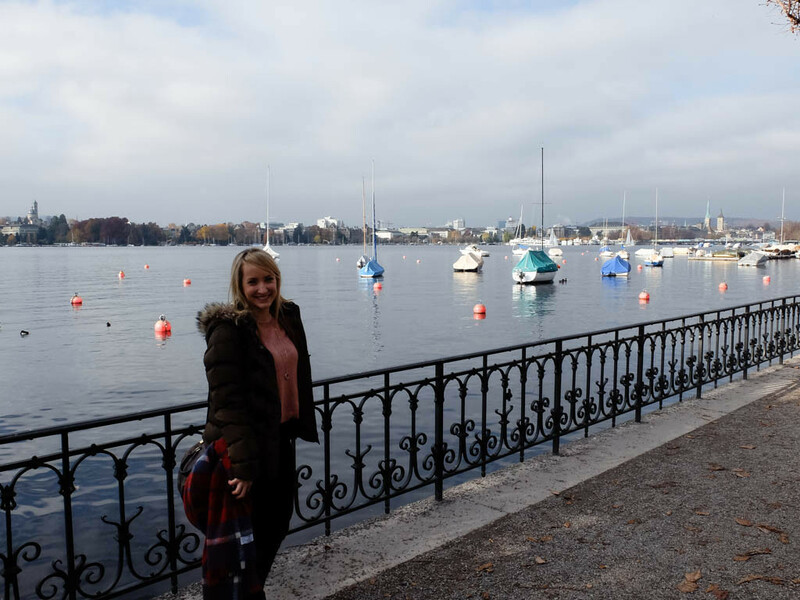 I was curious, so did a bit of research, and it turns out Lake Zurich can reach 20 degrees Celsius in the summertime, and the water from it is filtered and pumped into the city’s water system! There’s no better place for a of people watching than in a chair outside the Opera House. Take a break, grab a coffee, and enjoy the view.. everyone else is doing it! For a bit of history, pay a visit Grossmünster Church. 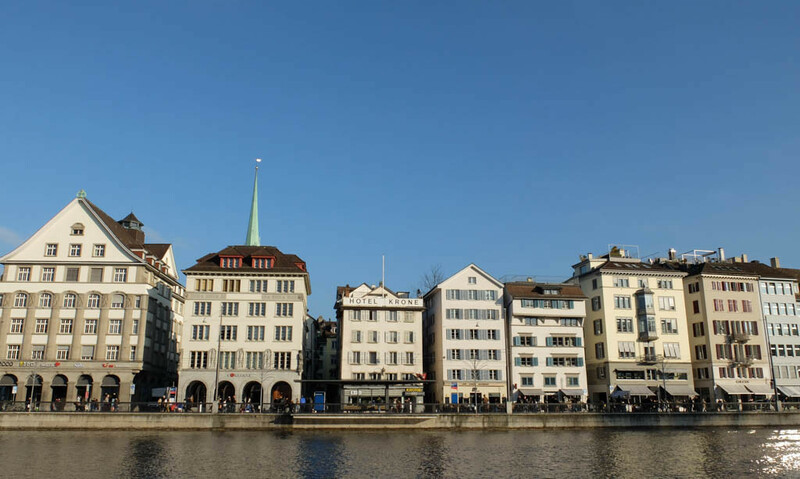 It is one of the Zurich’s most recognizable landmarks, and you won’t miss it with the two towers standing tall over the city. When I walked by there was a man preaching outside! I wish I spoke Swiss German.. I love a good view. Everywhere I go I try to find the best view of the city; it gives you a good sense of size and architecture all at once. Lindenhof Hill was on my list, and through some luck I took a wrong turn and found myself right at the top! 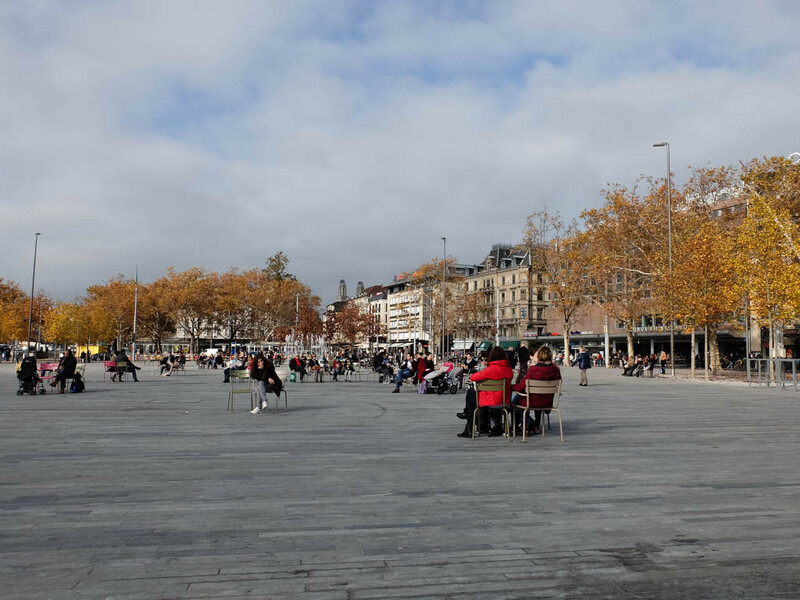 There are benches along the wall to sit and admire the city. This had to be my favourite spot with the best view of Zurich. 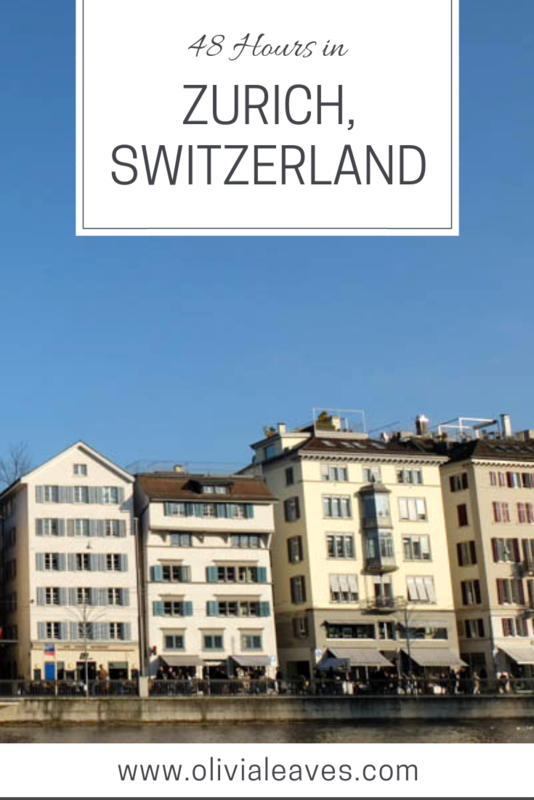 Of all the things to do in Zurich, eating chocolate has to be on the list. You can’t say Switzerland without thinking about their world class chocolate. 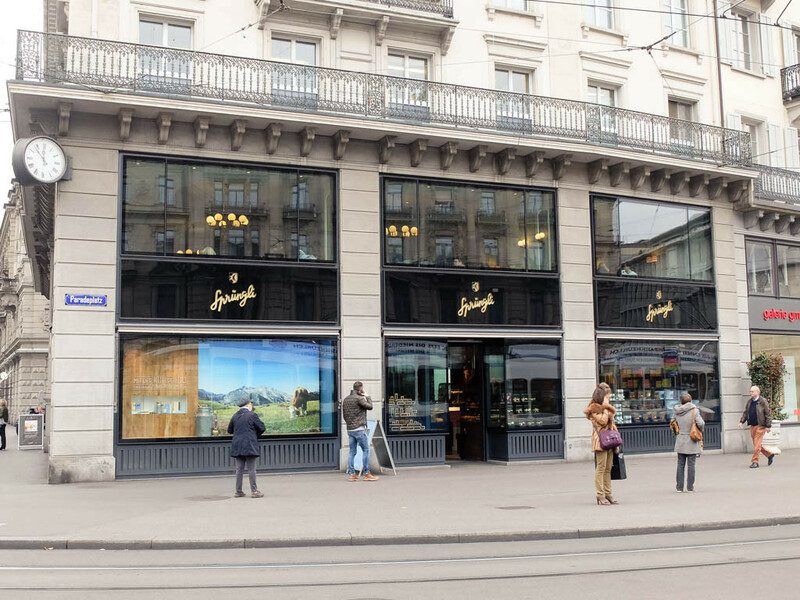 Sprüngli is their famous brand and you’ll find shops dotted all around the city and at the airport. I’ve always been partial to Lindt chocolate (which is actually part of the Sprüngli family), and picked up a decent (okay fine, large) size bag in the airport on my way home. Go for dinner at Zeughauskeller. This one is a bit touristy, but there were still lots of German speakers around! I had an amazing Schnitzel at this massive restaurant, where many of the tables are communal seating. Built in 1487 as a storehouse for ammunition, this famous building became a social house in the early 1900s. 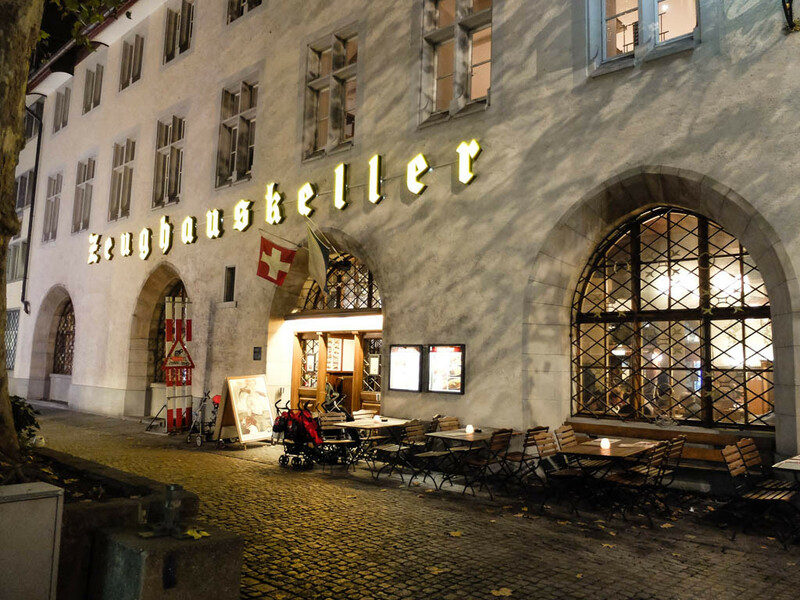 Zeughauskeller sits in the popular Bahnhofstrasse district and always looks busy. Book ahead just in case! This was hands down the best transport system I’ve ever used. It was only 10 minutes into the city on a commuter train from the airport, and within the city there are trams running every which way to get you around. Rest assured that you won’t need to allow a massive budget for taxis on this trip! 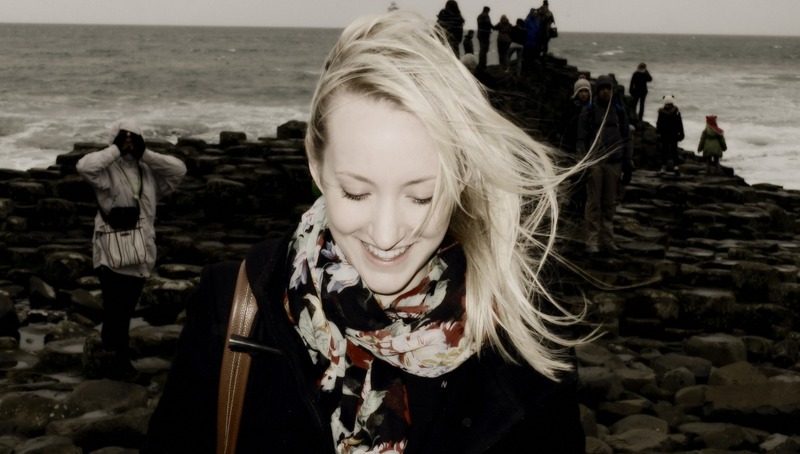 Zurich is expensive, and this is coming from someone who’s been to Paris seven times. I never thought I’d be shocked by the price of a coffee, but this city really hit me. In order to offset the cost of your food and drink (because you have to enjoy yourself! 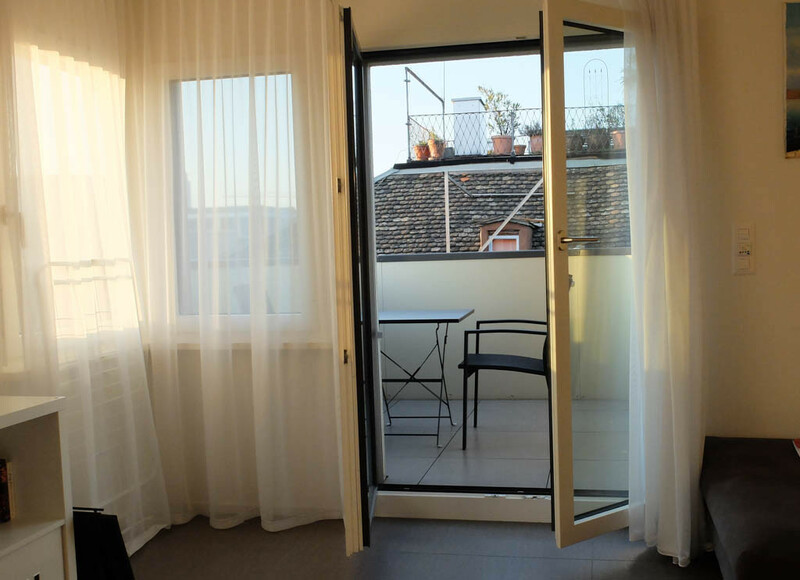 ), try booking an Airbnb rather than a hotel in Zurich. 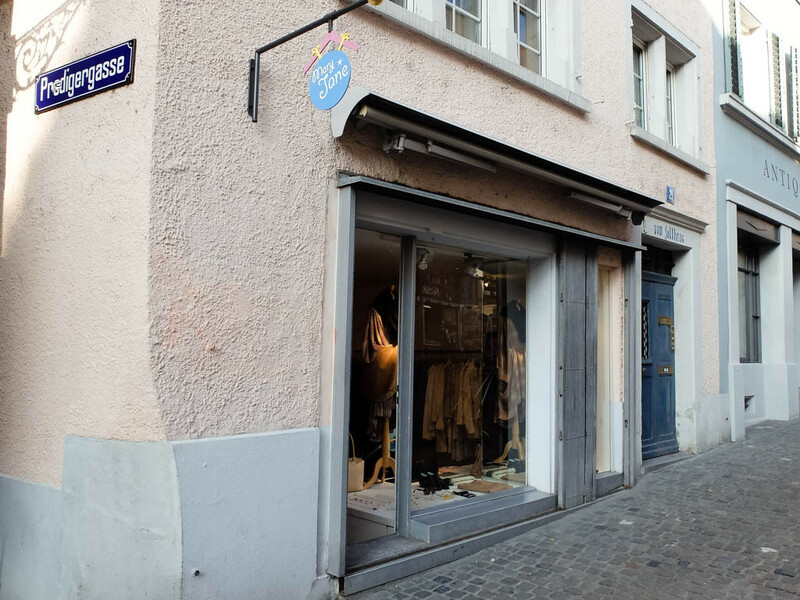 You can find some really neat places in up-and-coming neighbourhoods, and with Zurich being small enough to walk everywhere, you’ll never be too far from anything. If you’re interested in checking out Airbnb, here is a coupon for a discount off your first stay. The more I travel, the more thoughtful my souvenirs become. Thank goodness, because I only have so much room in my house! To remember my trip to Zurich, I picked up a rose gold plated bracelet made by a local Swiss designer. I found it in Mary Jane Vintage, a little shop on Neumarkt Street that carries vintage clothes and locally made jewellery. I remember Zurich each time I wear my bracelet!